Your data is the secret sauce to your success. But most companies have their important data tucked away in systems that only few can access. Zapier and Plecto now allow you to share your data live with your employees from 1,000+ tools without having to setup manual updates from multiple data sources. Your company has smart people that feed you great data. Make sure that your employees can easily access their data in order to navigate their job better. Give them access to following how they’re doing on an individual and team level, and share your company’s KPIs on real-time business dashboards throughout the office or on the go. With Plecto, you’re unlocking the full potential of your data by sharing the right information with the right employees on live Zapier dashboards across any device. You allow your employees to take their data across tools and systems and merge them across sources on the same dashboard and even in the same widget. Plecto lets your employees connect your data in new ways that make a meaningful contribution to your company. Discover how Zapier and Plecto can give new life to your data and empower your employees to make smarter decisions. 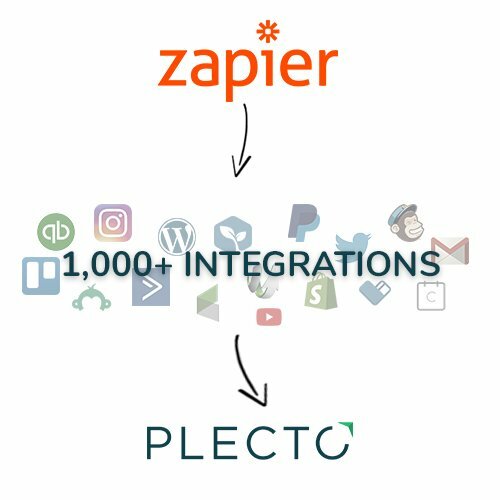 Sign up for Plecto with a free trial to see how your data connect to your Plecto and Zapier dashboards.